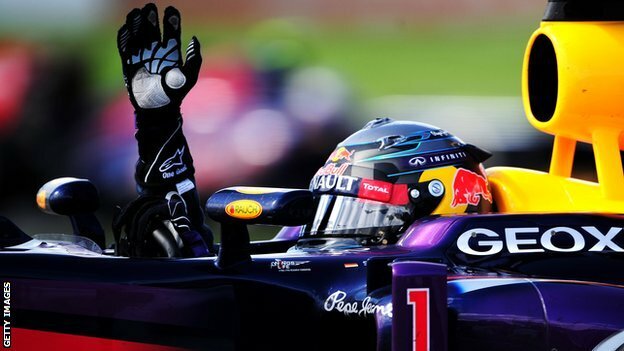 Sebastien Vettel continued his good form and won the Canadian Grand Prix for the first time in his career. He led in all but three of the laps as title rival Fernando Alonso beat Lewis Hamilton to second place with 9 laps remaining. Vettel's teammate fell short of a Podium finish while Kimi Raikonnen had a tough race and finished 9th. Valtteri Bottas, who was a surprise in qualifying started in 3rd but dropped to 14th in an average Williams. Vettel was absolutely dominant in Montreal, building a lead of almost three seconds after just 2 laps. His advantage over Spaniard Alonso is 36 points and 44 points ahead of Raikonnen. He is widely regarded the favourite to go on and claim a record-breaking fourth consecutive World Championship. "It was a very important race for us to win - finally we get it off the list and i'm very proud of that" said Vettel.